Peppermint candy with an icy backdrop. I haven't had many juices yet, but peppermint was on my list to try. I loved this one and so did my friend when he tried it. Closer to spearmint, but satisfies regardless. 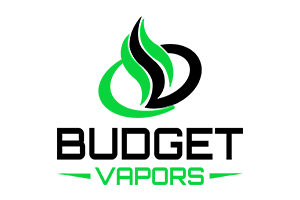 This is a fantastic menthol vape eliquid which I will order more of. The only reason I gave this 4 stars instead of 5 stars is because I cannot taste the peppermint at all and I was hoping I would, but it’s still a great menthol eliquid and the shipping was very fast!!! Amazing flavor, tastes exactly like a peppermint candy cane with just enough menthol to take your breath away. This is my go to. It's a pepperminty smooth ejuice. Great to have on hand all the time as a reset for other flavors. Never have got "vapors tongue" from it. Ordered this not expecting much but was surprised with the quality ! have order from other mainstream juice vendors and have had hit or miss experiences. this flavor is that of the red and white mints you get after a meal like pizza hut etc. plenty of flavor though i did opt for a extra flavor shot due to previous purchases with other vendors who skimp on the flavor. i haven't had a need to add and of the flavor shot. my only hope would be that budget vapors expands the nic levels to include nics above 12. all in all i feel i have found my go to supplier for juices!